Go underground with The Straits Times and see how artists prepare for an unusual art exhibition at the historic Tiong Bahru Air Raid Shelter - left untouched since it was constructed in the lates 1930s - as part of Singapore Art Week 2018. 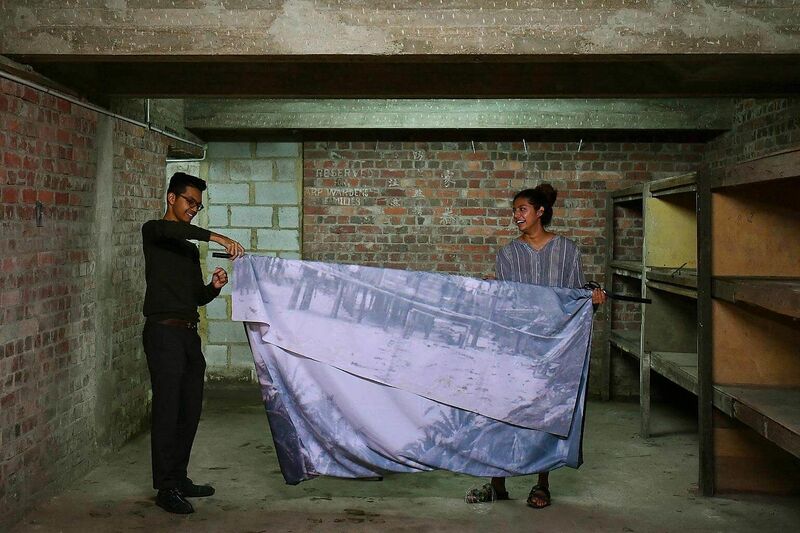 Artist Tay Ining, 29, has found the perfect place for a four-part art installation exploring the concept of decay: a damp pre-war air raid shelter in Tiong Bahru. Her installation consists of items such as oxygen canisters, a fluorescent lamp, polyester fibres, old clothes and cast aluminium "puddles". The historical space comes with its own quirks - a rusty light dangling from the ceiling and pools of water gathering in a far corner. Tay, speaking above the sound of water from the pipes overhead, says: "I'm still getting a lot of surprises. I didn't know it would flood so much here... it's the groundwater seeping into the room." She is one of eight young artists whose works are being displayed at Tiong Bahru Air Raid Shelter as part of Raid, a Singapore Art Week exhibition that will run until Feb 3. 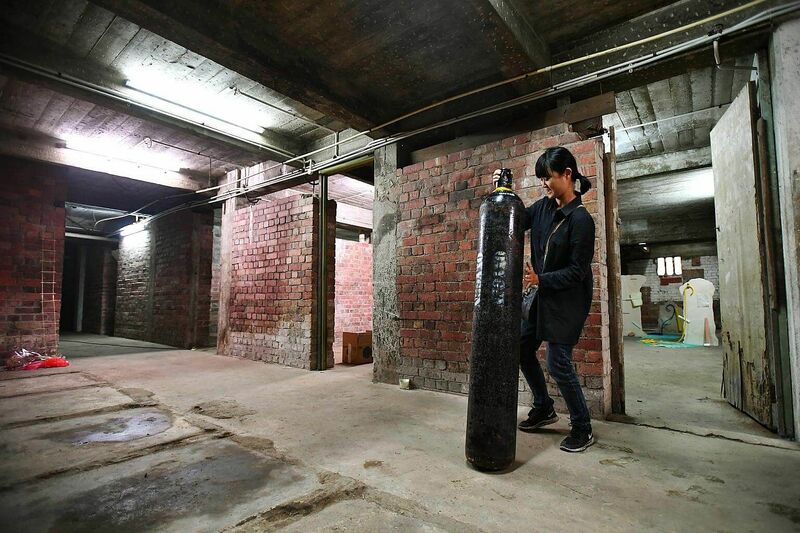 Most of the 17 works in the 1,500 sq m space at the basement of Block 78 in Guan Chuan Street were conceived with the air raid shelter in mind. Co-curator Zulkhairi Zulkiflee, 27, says he is "very much into the idea of the alternative site". Such site-specific exhibitions offer a "challenge factor", encouraging artists to respond to the specific constraints in inventive ways, he adds. 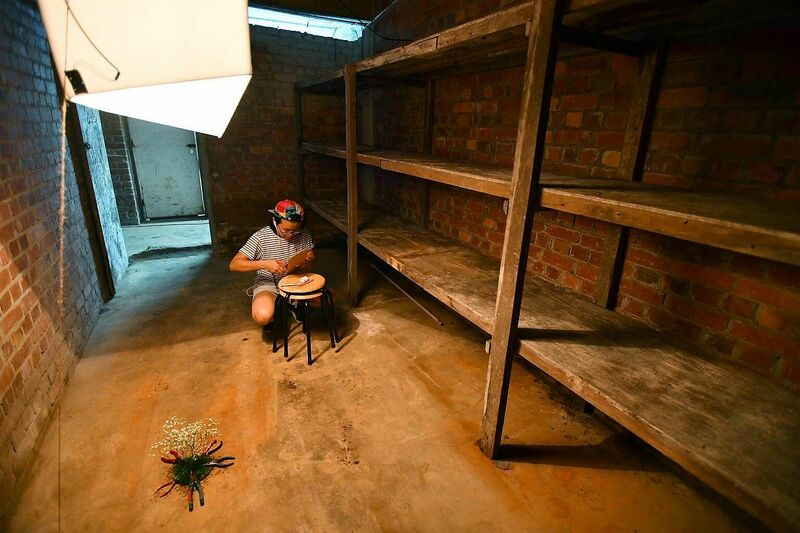 He is no stranger to the concept, having recently organised Ruang (2017) in a vacant shophouse off Joo Chiat Road and Dancing On The Spot (2016) in a metalworking building. His own installation in Raid was inspired by a 1920s postcard of a Malay boy posing with a crocodile. "Iterations" of this image, in the form of charcoal on paper, print on calico and other media, are scattered across two chambers. Tiong Bahru Air Raid Shelter, Singapore's last remaining pre-World War II civilian air raid shelter, dates as far back as 1939. Usually closed to the public, it could accommodate 1,600 people and its block is thought to be the only public housing building by the Singapore Improvement Trust that was built with an air raid shelter. With its dim lighting and dusty brick walls - which make it hard for the artists to attach things to them - it poses certain constraints. But it is also rich with possibilities, which the artists have exploited - a stray nail on the wall here, a heavy concrete tile there. One installation by Jacqueline Sim, 30, for instance, consists of a moving light attached to a rotating mechanism, that shines from a "window" and illuminates the wall opposite. It is about "constructing hope" in a time of darkness such as World War II, she says. 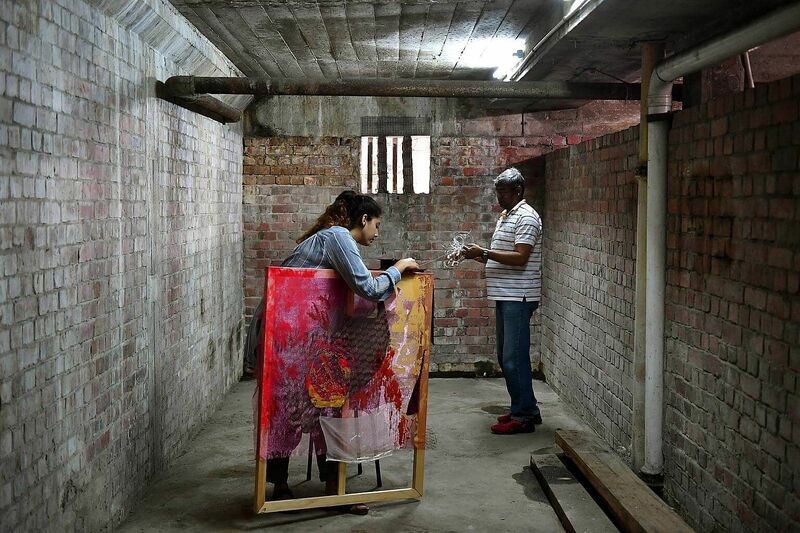 Zulkhairi and co-curator Daniel Chong, 23, acknowledge that the space can be "very overwhelming", with its pitch-black corridors, trapdoors and joss sticks, and wall scribblings of former occupants. "How do you insert yourself into a space that is so full of history and heritage?" asks Chong, whose installations here range from sculpture fashioned from melted trash bags to funeral flowers and pieces of concrete that look like cemetery slabs. Visitors can see for themselves how Raid - which also features works by Ivan David Ng, Pooja Kanade, Vanessa Lim and Nhawfal Juma'at - answers that question. Down there, Zulkhairi promises, it is nothing short of "visceral".